Although its capture and trade has been known since 1979, the location of the species was not known and scientifically recognized until 1992, when it was discovered in a precarious state. The big threats are habitat destruction, previous illegal trade as a pet, and hunting for its feathers. Progressively and significantly improve the conservation status granted by the IUCN, so as to abandon its current status of "critically endangered". Create a reserve to give protection to the species and achieve high awareness within local communities about the need for its protection. It is essential to continue studying the Blue-throated Macaw and promote the regeneration of its habitat. 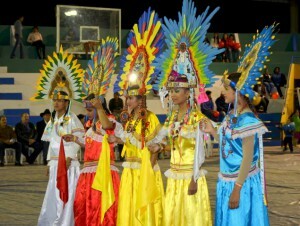 Awareness among local communities reached by the project has been more than satisfactory, with widespread condemnation of illegal trade and with the replacement of the feathers of this bird by artificial feathers and other elements as decoration in the traditional headdresses of the native people. Campaigns, workshops and awareness-raising have contributed to this. The creation of the Barba Azul Nature Reserve is another important achievement of this project, in which LPF supports the organization Armonía, the Bolivian partner of BirdLife International. The actions developed in situ, helping breeding with the installation of artificial nests, have allowed the birth of more chicks, so that the population is now ten times higher than at the end of the 1990s. 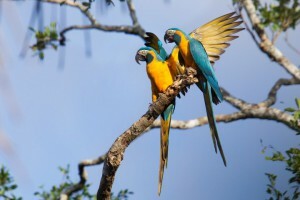 The reserve is protected from livestock, and has a field station constructed to provide logistical support to researchers studying the population of the Blue-throated Macaw. Federación de Ganaderos de Beni y Pando.